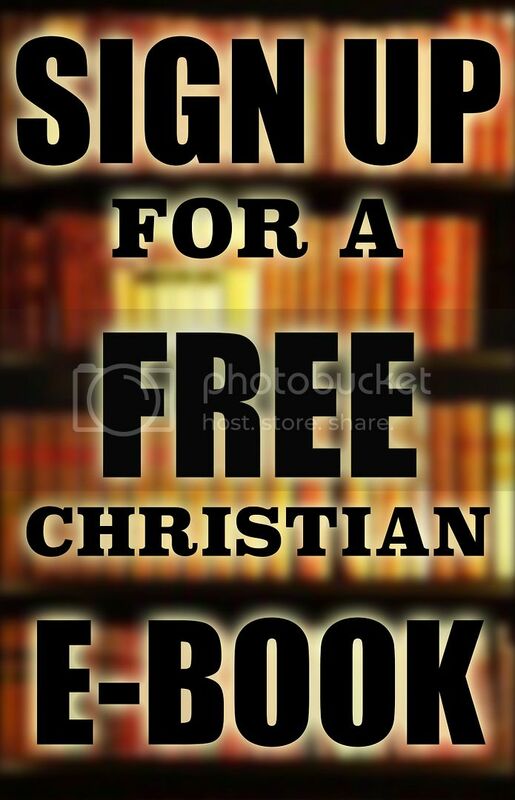 ← Open Air Outreach Has Reprinted Great Christian Books! A friend of mine flew down to Texas from his home in California with his wife to preach with me. I wanted to take him out to some good campuses to have a good open air experience. Another local brother was also available to come out and join us, so the four of us went out to LSU in Shreveport to evangelize. I have preached at LSU in Baton Rouge and I have preached at the Casinos, bars, and clubs in Shreveport, but I had never preached at LSU in Shreveport. I was not sure what the campus policies were regarding free speech. LSU in Baton Rouge is an open campus when it comes to free speech, so I assumed the policies were the same. To make sure I contacted a friend of mine who had preached there before and he confirmed that LSU in Shreveport was also an open campus. It wasn’t too long before the campus Police became aware of our presence. 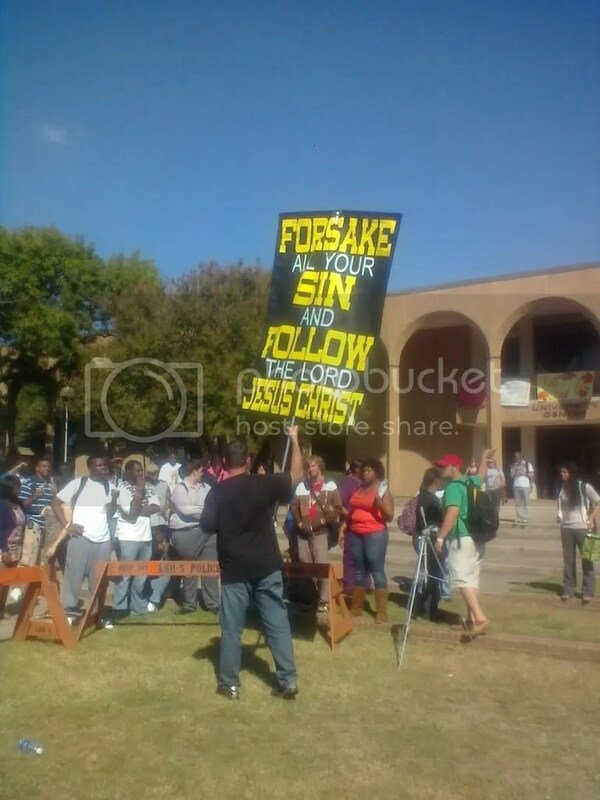 After all, we were standing in the middle of campus preaching loudly with banners. The Police came to talk with us and showed us where the “free speech” area was. 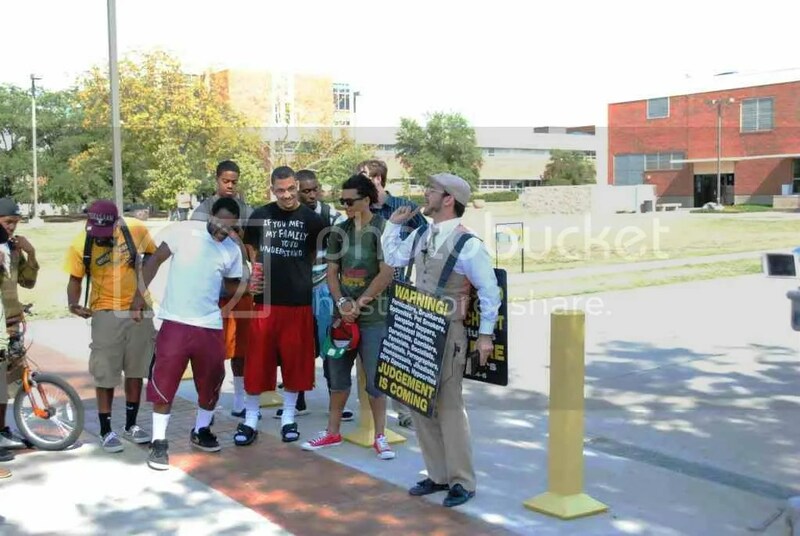 We were standing on the sidewalk in front of the Student Union but they wanted us to stand on the grass. They even blocked off the grassy area from the sidewalk! I actually prefer this because it keeps the crowds back. Without any barrier, the crowds will eventually circle around us which makes it harder to preach to everyone. What was strange was how the Police asked for our ID and took pictures of us with a camera. We should have the right to exercise free speech anonymously. I am concerned over the direction that our country is going. 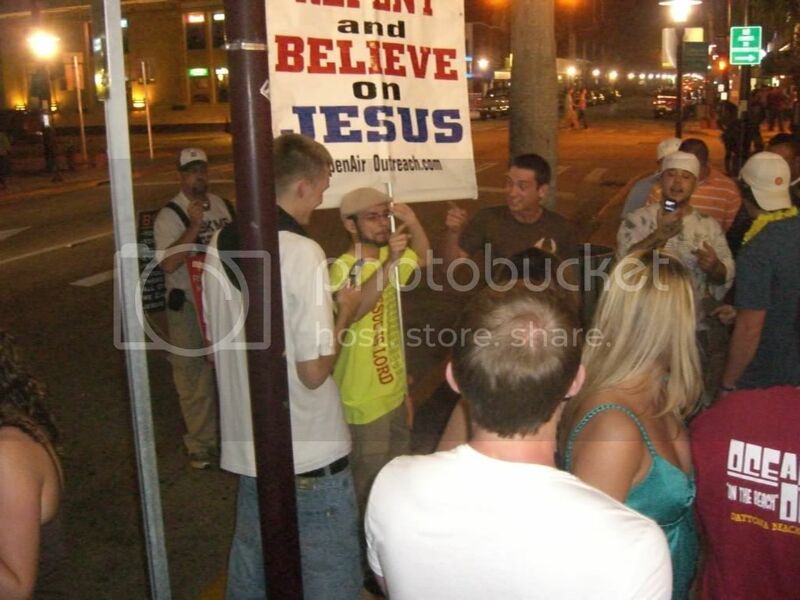 With the help of our banners, we gathered a crowd of students asking questions before we even started open air preaching. 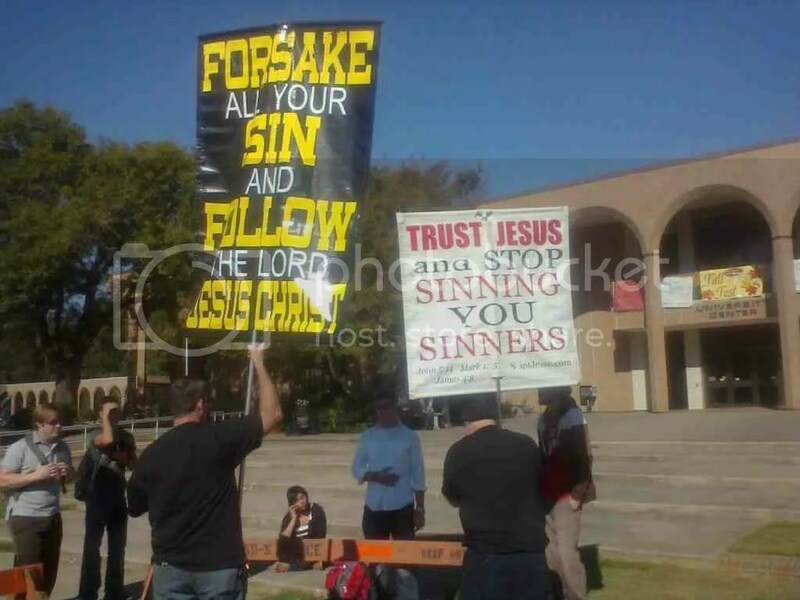 I cannot stress to much how helpful signs and banners are for open air preaching. They are so beneficial that I almost never preach without them anymore. We were not on the campus very long, maybe only ten minutes, when we were heckled by two lesbians. That shows the sad state of affairs on these universities even in the Bible belt. The students had seen preachers before because my friend has visited this campus. Nevertheless, the students were still pretty upset at certain times. They were certainly not hard and caloused. What we were saying about sin, judgment, and hell certainly disturbed them. They stayed for hours to discuss these issues with us. Most of them were making excuses and arguments for their sin. But the word of God was preached and they were given an opportunity to receive it. I am always trying to think of creative ways to get people’s attention on biblical truth and to find good ways to communicate the gospel to the general public. During the Halloween season I kept seeing Halloween customes in the stores. I have known different preachers use customs to help get attention and communicate a message. One friend of mine even dressed up in a cow outfit to preach at a Hindu festival! 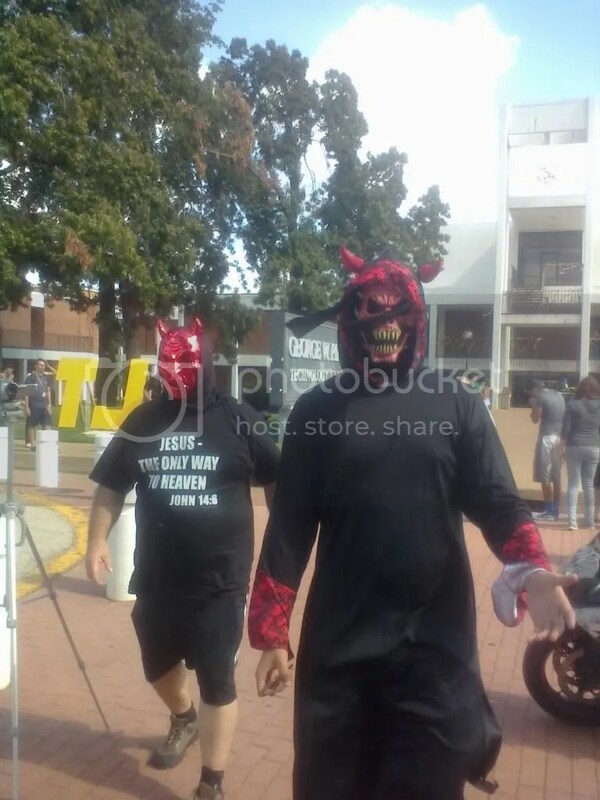 Another one dressed up like the devil and stood outside the Mormon Tabernacle during their huge annual event, endorsing the church! These kind of things remind me of what the prophets used to do to get attention and communicate a message from God. Jeremiah wore an animal yoke around his neck. Its true that Isaiah did not wear a custom. But that is because he wore nothing at all! Anyways, my friend who flew in from California brought a devil mask with him after hearing me talk about how useful they might be. When I was preaching to the students, he would sometimes put the devil mask and contradict what I was saying. For example, if I was preaching that homosexuality is a sin and should be repented of, he would put the mask on and tell the students that it was ok and they can keep doing it. It made a point in a dramatic sort of way. Or if somebody started heckling me and contradicted what I had been preaching, he would put the mask on and tell the crowd that he agreed with my heckler. It was funny and good. I recognized a lot of the same students from previous outreaches and previous years. Our continual presence on this campus, I pray, will make a lasting impression upon their hearts and minds for Jesus Christ. Six years ago, I preached at Texas A&M at College Station and had a great time there. On my drive back home from Canada, I noticed that Texas A&M had a campus in Commerce, TX. This was only about an hour from where we now live. 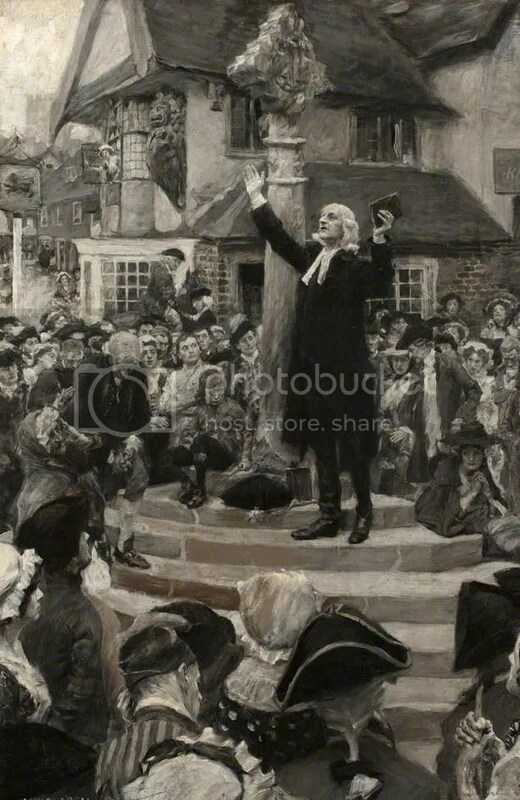 I was very excited to see that there was another local campus that I could regularly preach on, especially a campus that does not have any other campus preachers preaching on it. Before I went to the campus I went online and searched google for maps of the campus so that I could become familar with the layout and pick the best spot for open air preaching. I also looked for public streets that run through the campus, just in case the police tried to give me a hard time. I wasn’t sure if this campus would be open to free speech like the campus in College Station was. As it turned out, the best place to preach on campus was right behind their huge new Student Union building where all the students go during lunch time, which also happened to have a city street running right next to it. I decided that it would be the best place to preach for three main reasons. First, it was right next to the cafe where the students get their food for lunch so it would have a lot of foot traffic. Second, the city street was right there in case the police try to kick me off campus. And thirdly, there was a big tree that provided shade for me and the crowd for the hours we would be preaching. A good size crowd did form rather quickly. They had never seen preaching like this before. At first the crowd was very calm and respectful. 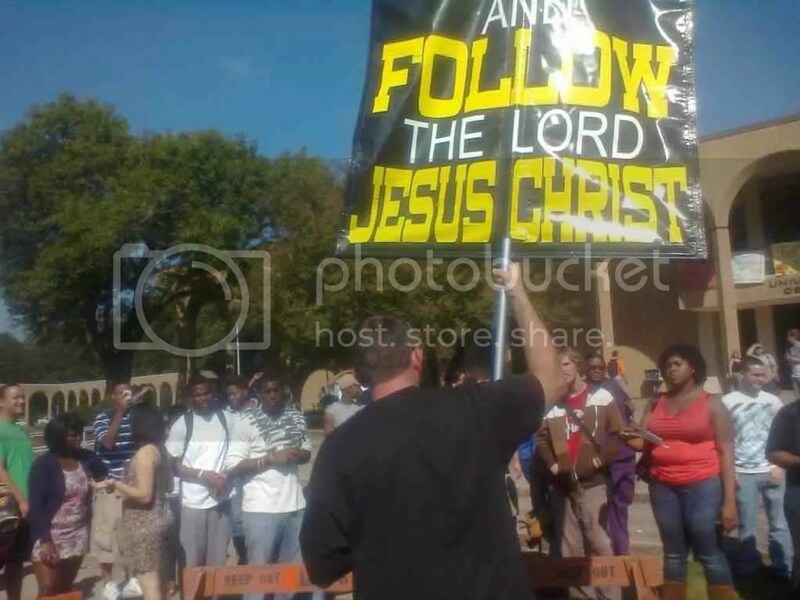 Some of the Christians on campus were sayig “amen” to my message about Christ. But after the first hour or so the crowd started heckling until eventually, they were pretty upset. What it came down to was that they loved their sin and they didn’t like me telling them to stop it and obey Christ. My friend from California brought his video camera out because he airs my videos on the public access channel there in California. He was able to capture about twenty five minutes of good footage for the TV show and I uploaded that footage to my YouTube account. You can find that below in this newsletter. 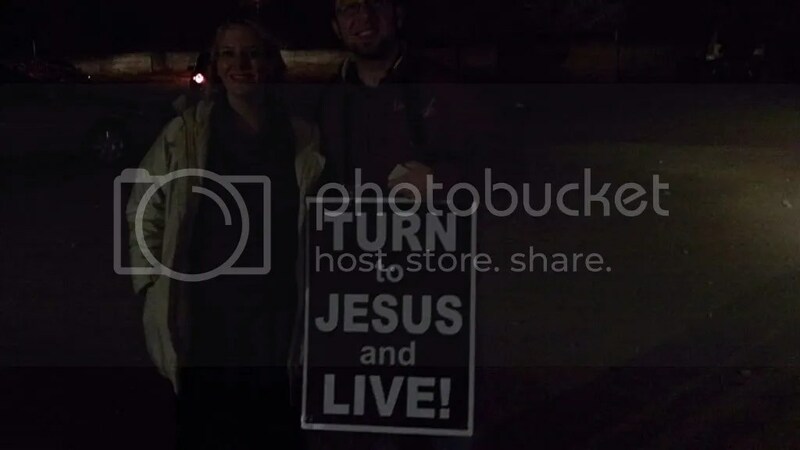 Some good friends of mine have gone out to a local haunted house to hold signs and pass out tracts, as a husband and wife team, for the past couple years. In years past I have always been on the road traveling somewhere else during this time but this year I was in East Texas and was able to join them. 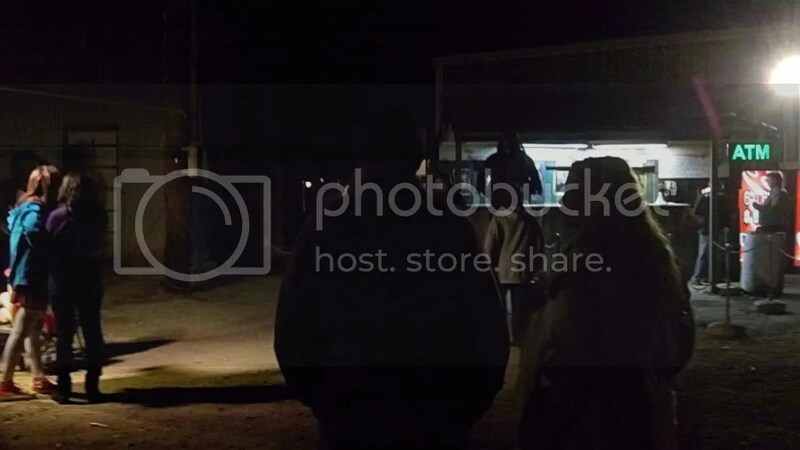 We stood right at the exit of the haunted house so we could offer tracts to everyone walking out and they could read the sign that says, “Turn to Jesus and Live.” They said that in years past there were larger crowds at this place during Halloween night. But still, there were a good amount of large groups walking out of the building that we gave gospel tracts too. Those who put on the haunted house, like the owner and the staff, also came out and spoke with us a little bit. They had seen my friends doing this for the past couple years. Surprisingly, this haunted house is on private property and yet the owner has allowed them to do this. When they first invited me I didn’t know what to think because I have a hard time preaching on public property, let alone private property! Nevertheless, the owner didn’t have any problems with us holding a Jesus sign at the exist and passing out gospel literature. 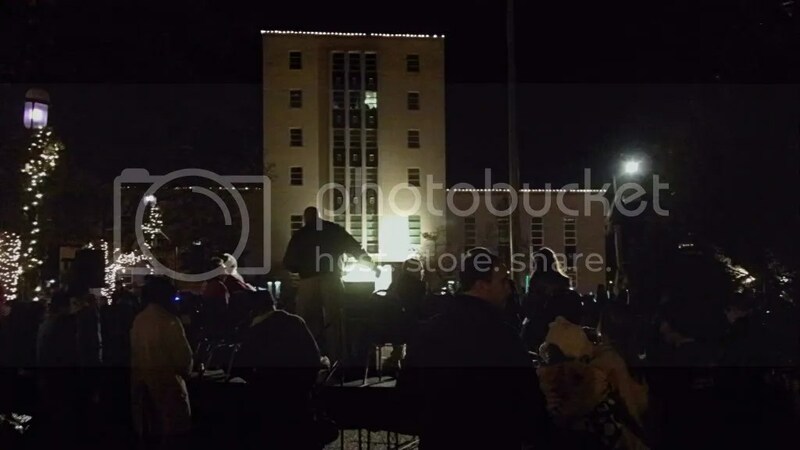 I had heard that there was going to be a Christmas tree lighting in the city of Tyler in the city square. 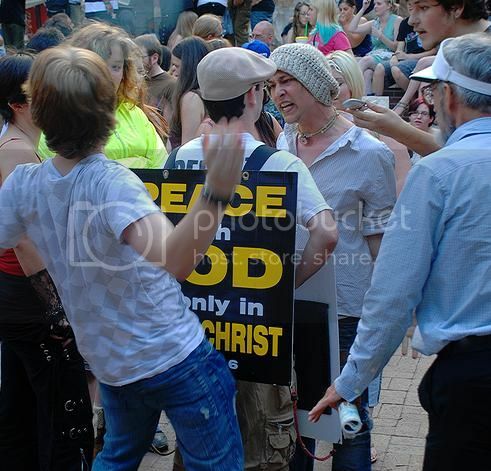 This sounded like a good opportunity to evangelize. So I got in my car and drove to the downtown area, but I found that the streets were all blocked off. 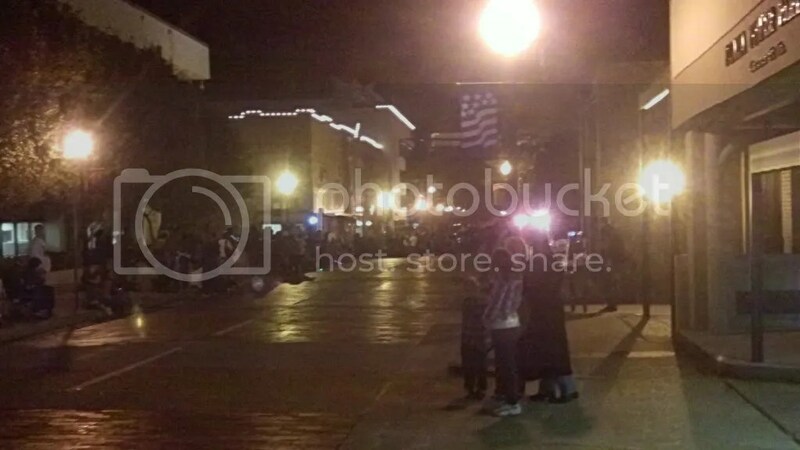 When I parked and walked to downtown, I found the streets were empty and the sidewalks were all lined up with people waiting for a parade! 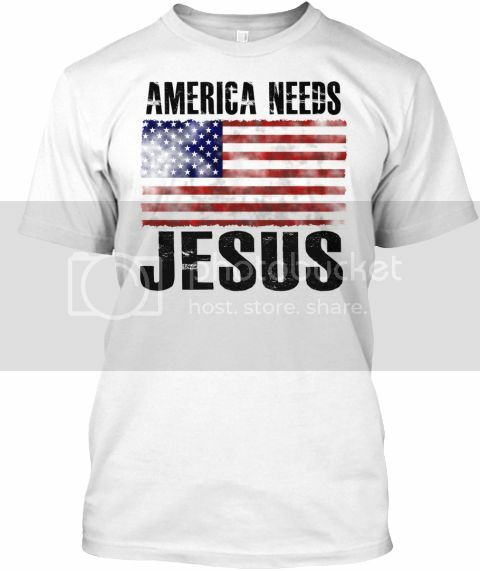 Originally I was expecting to just pass out some tracts and do a bit of preaching in the square. But now, I had an entire parade route lined with thousands of people that I could preach too! 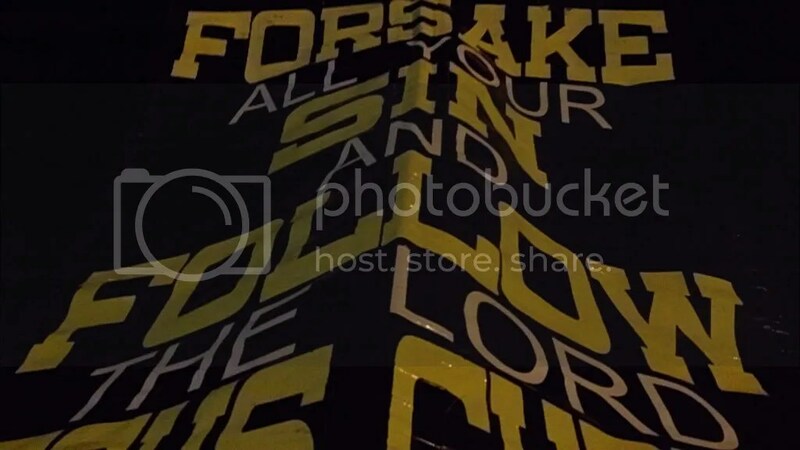 So I lifted up my banner and walked down the street preaching the message of Jesus Christ to the thousands that were waiting there. This was a rare opportunity for me to reach a group of people that I do not normally get to reach. This event had families. There were mostly parents with their children. They don’t normally get to hear preaching like this because they do not go to college or the bars and clubs where I usually preach. I was very excited for the opportunity to preach Jesus Christ to the families of Tyler Tx. 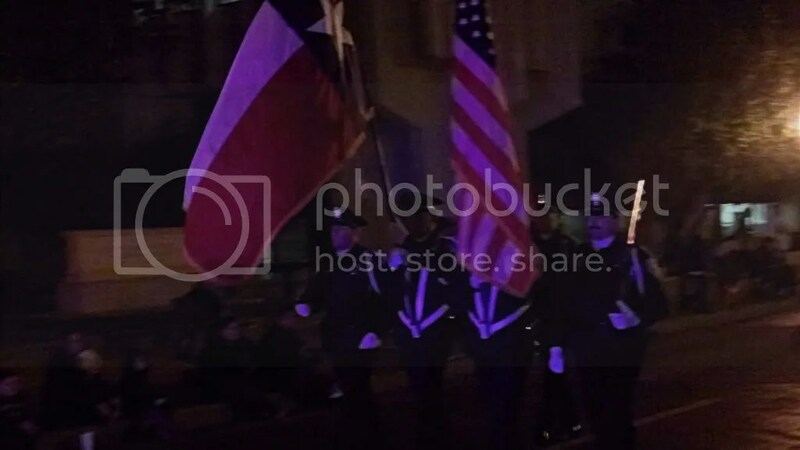 Once the parade started I got out of the street. I stood on the sidewalk with my banner and held it high for everyone marching in the parade to see too. One man in particular, who was playing bagpipes, approached me. He said that he was a Firemen in the parade and saw my banner. 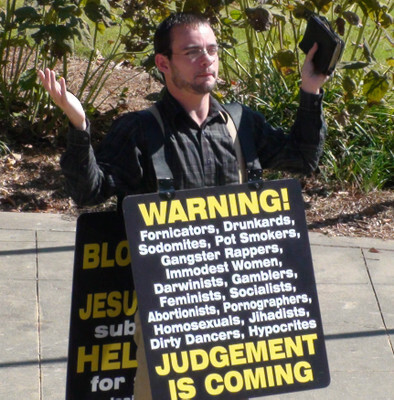 He said that he watches open air preaching videos online and really likes it. He took my contact information and has since contacted me to get together to talk about ministry. Praise the Lord! 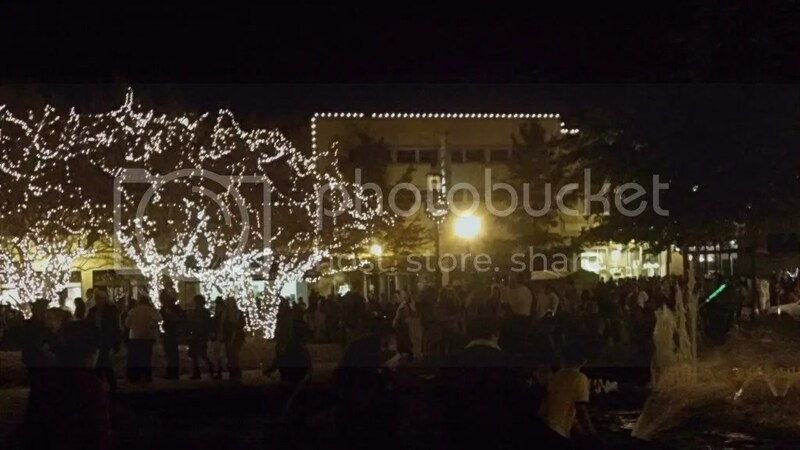 After the parade had finished, crowds of people went to the city square to await the tree lighting. 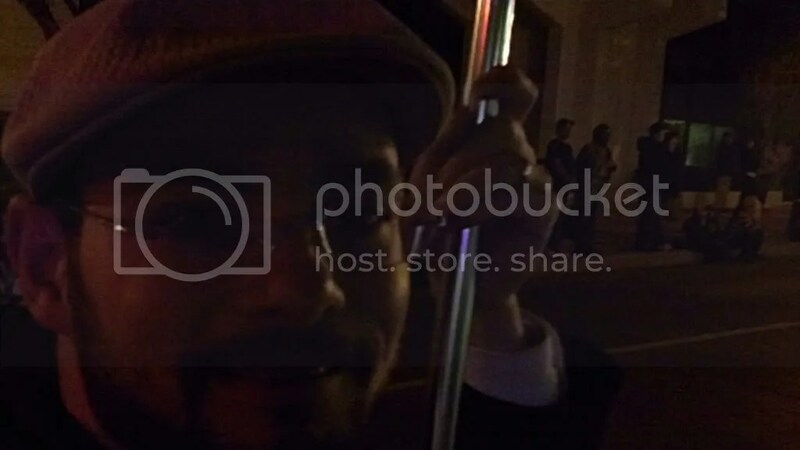 I realized that if I stood with the crowds, nobody would see the banner because everyone was looking at the tree. So I broke from the crowd and went behind the tree and behind the stage where everyone was looking. I made sure to hold my banner nice and high for all to see. It said, “Forsake All Your Sin & Follow The Lord Jesus Christ.” Jesus Christ not only came to give up His life for us, but now we must give our lives to Him. There you will find great books, DVD’s, and gospel tracts! 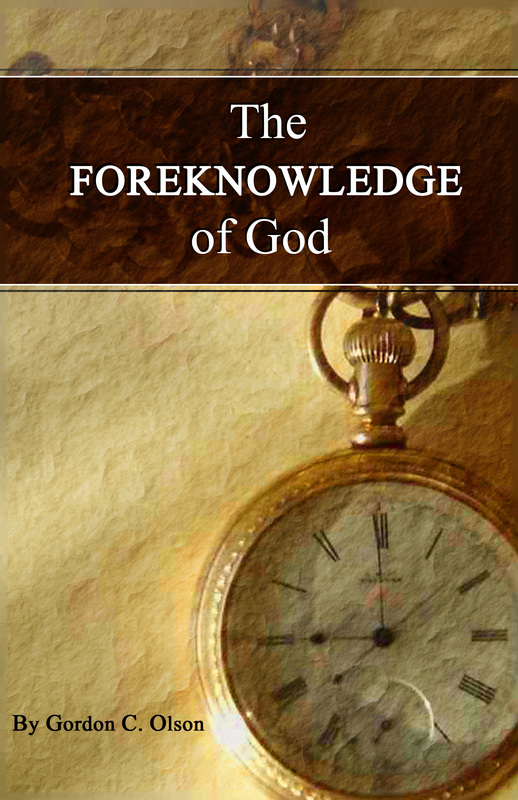 The Foreknowledge of God by Gordon C. Olson is a classic work on the open view of God which was first published in 1941. The reader will find the arguments presented in this book as challenging and thought provoking. Olson’s love for God and for the Scriptures enrich his writings in such a way that the even deep theological issues which he addresses are a pleasure and a joy to read. 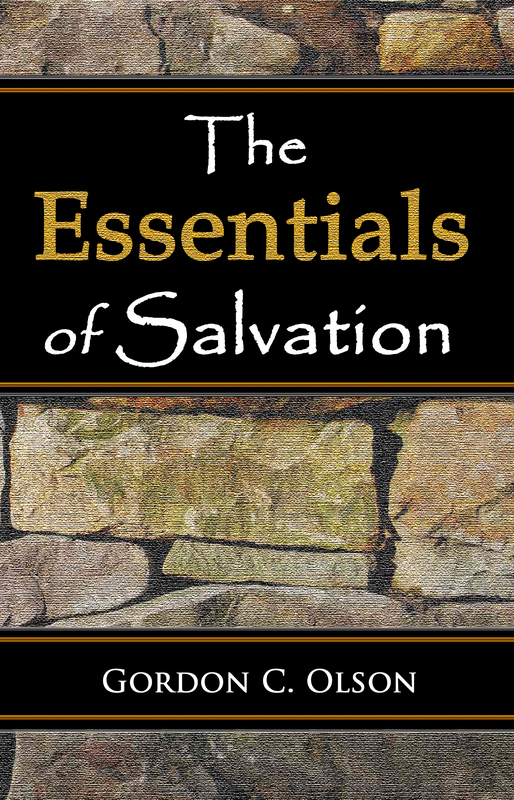 The Essentials of Salvation contains Gordon C. Olson’s booklets, “The Moral Government of God,” “Holiness and Sin,” “The Entrance of Sin Into The World,” and “The Lovingkindness of God our Savior” all in one volume. 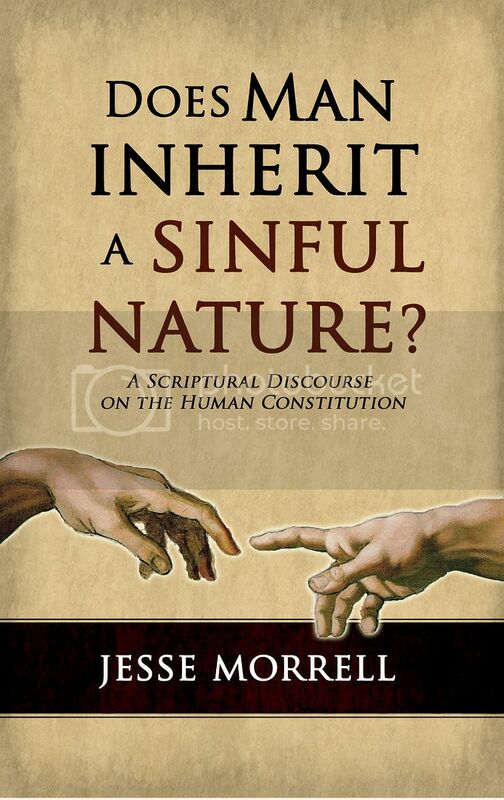 These classic theological writings deal with doctrines such as original sin, free will, total depravity, regeneration, holiness, repentance, faith, atonement, etc. These writings have been charished by many believers because they shine a bright light of truth upon many dark issues and clear away any theological fogs upon the mind. 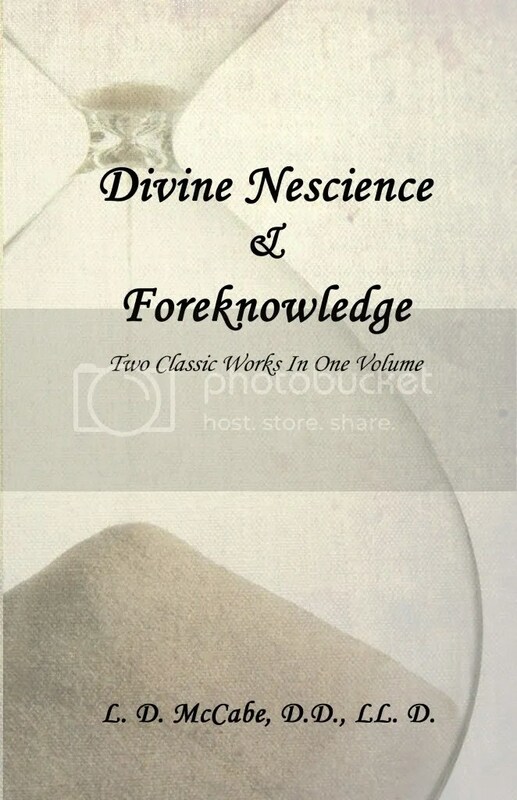 Divine Nescience & Foreknowledge contains two classic works in one volume. They are “Divine Nescience of Future Contingencies A Necessity” and “The Foreknowledge of God, and Cognate Themes in Theology and Philosophy” by L. D. McCabe. Because these books were out of print, these books have been very hard to find and very expensive to purchase, until now. These two profound books were written in the 1800’s and brilliantly expound upon the open view of God. 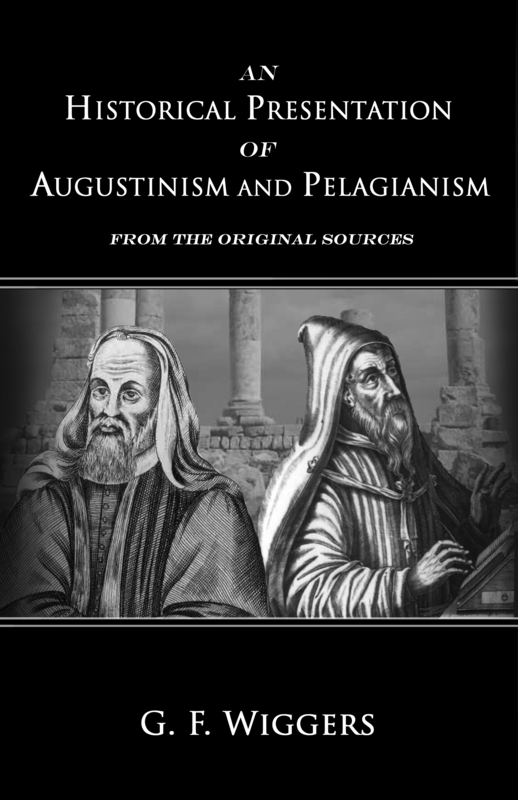 They are two of the most important theological writings of the 19th Century and arguably two of the best writings on the topic of open theism. This book is a must read for any Christian who wants to understand the scriptural and logical arguments for the open view of the future. 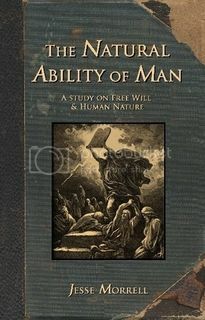 The Natural Ability of Man: A Study On Free Will & Human Nature by Jesse Morrell is a thorough explanation and defense of the doctrine of free will. 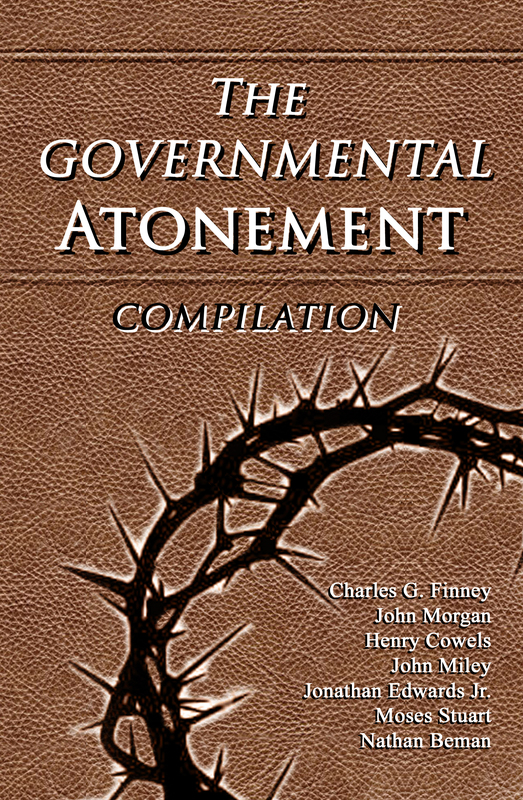 The Governmental Atonement is a compilation of multiple authors on the issue of the atonement of Jesus Christ. The various authors include Charles Finney, John Morgan, Henry Cowles, John Miley, Jonathon Edwards Jr, Moses Stuart, and Nathan Beman. The book shows the necessity, nature, and extent of the atonement. It examines the “penal substitution” and “payment of a debt” view and argues for the governmental view. 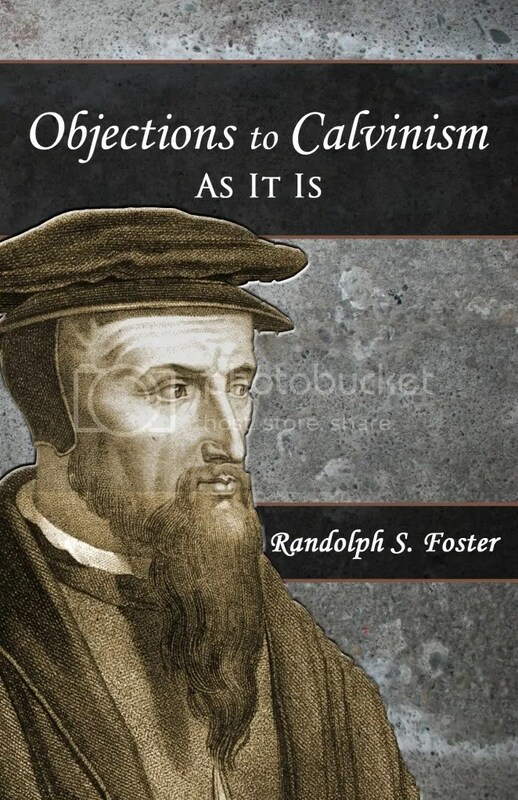 Objections to Calvinism As It Is by Randolph S. Foster is a classic rebuttal to the doctrines of “Reformed Theology.” The false theology of Calvinism is refuted by the authors scriptural and rational arguments, plainly exposing the so-called “doctrines of God” for what they really are. 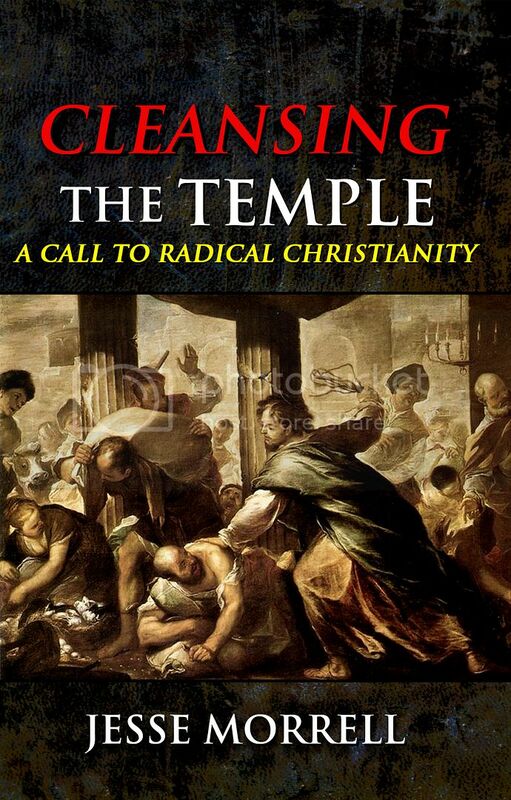 Some Christians have called this work the best book on Calvinism out there. 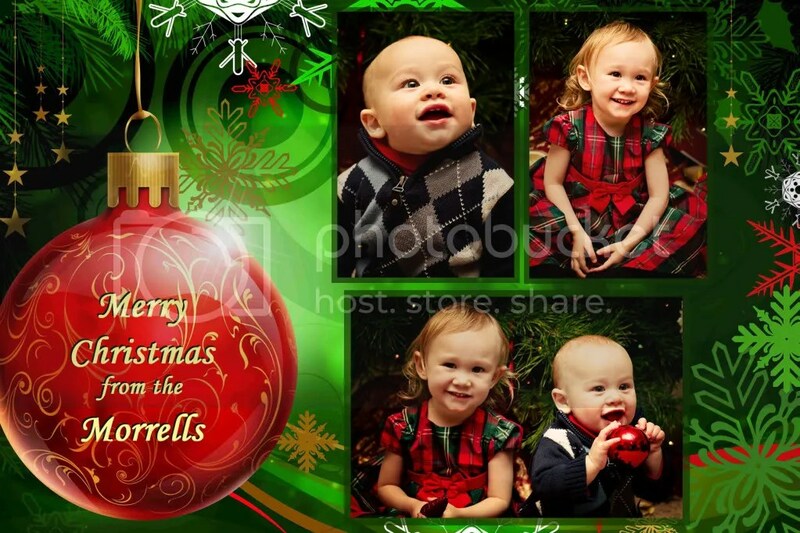 MERRY CHRISTMAS FROM THE MORRELL FAMILY! We wanted to wish everyone a Merry Christmas and a Happy New Year! Our son Justice has grown enough that he can now play and laugh with his sister Elizabeth! 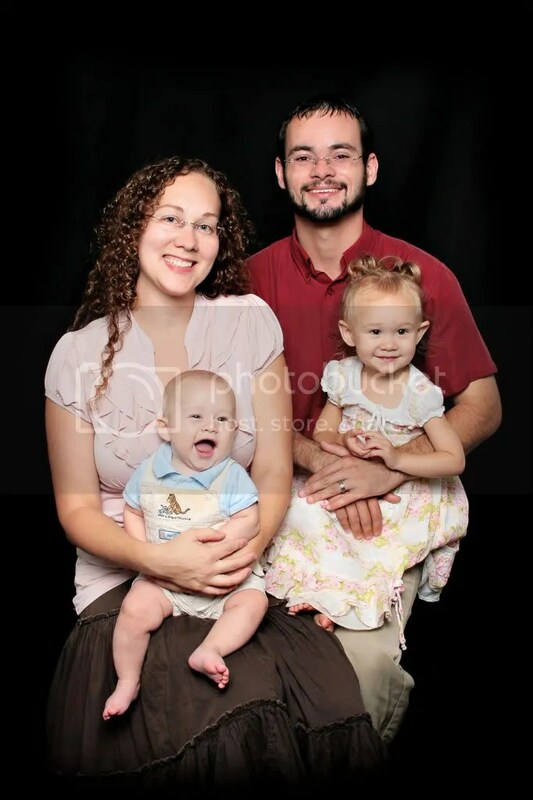 I am very grateful to the Lord to have two beautiful happy children! 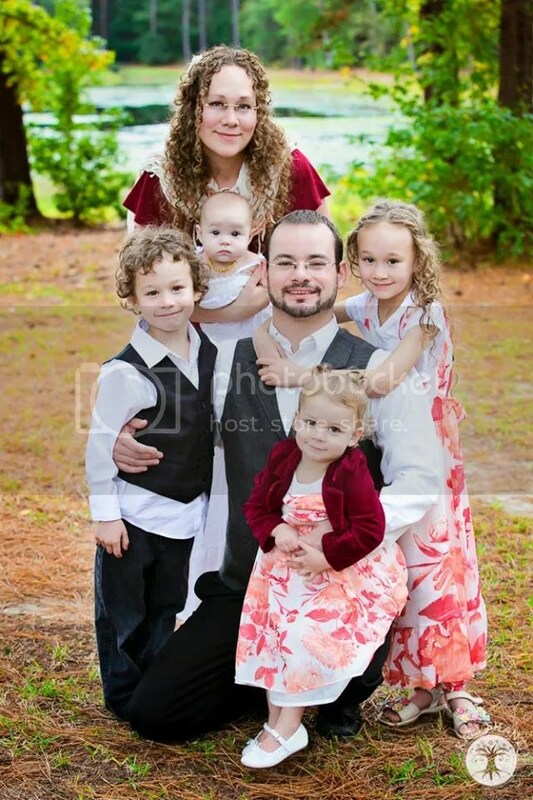 We are all settled into our new place in East Texas and are excited about having a home base to travel from. And we are excited about celebrating our first Christmas as a family in our new home. Please remember my family in your prayers during this holiday season. I have noticed from years past that our financial support always slows down during the months of December and January. Now that we have a house, of course, we have more bills and expenses than we have had before. But I am trusting in the Lord that as I continue to work hard in the ministry that He will continue to provide for us through the body of Christ. 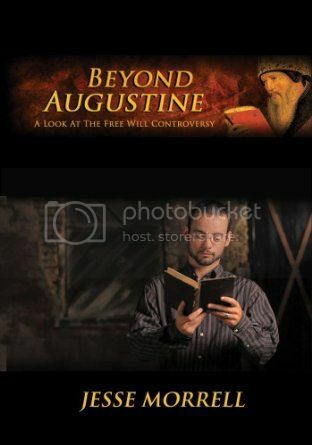 This entry was posted in Uncategorized and tagged Agape Force, Albert Barnes, An Historical Presentation of Augustinism and Pelagianism by G F Wiggers, Augustine, biblical truth resources, Caleb Burge, Calvinism, Charles Finney, Charles Spurgeon, Christian apologetics, christian perfection, Christmas, clark pinnock, Divine Nescience of Future Contingencies A Necessity by L D McCabe, Essentials of Salvation by Gordon C Olson, evangelism, Gnosticism, Gordon C Olson, Governmental Atonement, grace to you church, grace to you radio, gregory boyd, halloween, Harry Conn, haunted house, Henry Cowles, Heresy, heretic, heretical, imputed righteousness of christ, Jesse Morrell, John MacArthur, John Piper, john wesley, Jonathon Edwards Jr, Josef Urban, Keith Green, kirk cameron, L D McCabe, Last Days Ministries, LSU Shreveport, michael saia, moral government theology, Morrell Family, Moses Stuart, Nathan Beman, Objections to Calvinism as it is by Rondolph Foster, open air preaching, open air preaching videos, open theism, open view, original sin, Pacer, Paul Washer, Pelagianism, Pelagius, penal substitution, Phil JOhnson, Pink, R C Sproul, ray comfort, richard rice, sanders, Shreveport Nightlife clubs, Sin and Holiness by Gordon Olson, Texas A&M Commerce, The Entrance of Sin into the WOrld by GOrdon C Olson, The Foreknowledge of God and Cognate Themes in Philosophy and Theology by L D McCabe, The Foreknowledge of God by GOrdon C Olson, The Lovingkindness of God our Savior by Gordon Olson, The Moral GOvernment of God by Gordon C Olson, the nature and character of God, THe Truth Manual by Gordon C Olson, todd friel, Tyler Junior College, tyler texas christmas tree lighting parade, way of the master, Winkie Pratney, wretched radio, Youth With A Mission, YWAM, Zkueker88 Zack. Bookmark the permalink.